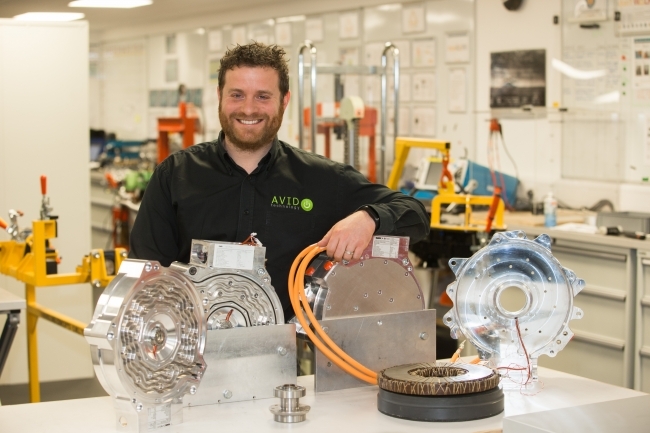 Award-winning North East-based automotive cleantech firm AVID Technology has successfully begun shipping high-performance EVO Electric Motors. AVID took over the design, manufacture and distribution of the EVO Electric Motors from GKN Hybrid Power last year and has now completely transferred production to its plant in Cramlington, Northumberland. Since the start of the year, AVID has experienced a sharp increase in demand for the EVO, securing over £50 million in new business for the motors alone, with exports to Germany, Poland, Spain, USA and Asia already in the pipeline for 2018. The motors have one of the highest power and torque densities of any electric vehicle drive motor available on the market, which makes them suitable for a range of high-performance drivetrain applications. Under the agreement with GKN, AVID is also developing the existing EVO technology to create new variants of the motor for a variety of alternative applications. Ryan Maughan, AVID Managing Director, said: “It’s been a fantastic start to the year for the business and extremely rewarding to complete our first EVO shipment. “The last 12 months have been tremendously exciting in terms of sales growth through a variety of new opportunities. We are proud to be working with some of the largest commercial vehicle manufacturers in the world to design and deliver their electric and hybrid vehicles of the future. “After securing the licence with GKN in 2017 we invested over £4 million to expand our production and testing facilities. This investment has increased our manufacturing capabilities to enable us to meet the rising demand we’re seeing in our primary commercial and passenger vehicle markets. “It’s a fantastic opportunity for us to bring our expertise and strong technical capabilities to meet real market and environmental demands. It also means we can continue to diversify and exploit new opportunities in emerging sectors. AVID has been advocating vehicle electrification to improve air quality and reduce climate change for 12 years. Its growing reputation as one of the most advanced and skilled businesses in the electric vehicle sector led to the company being selected to work on a £20 million government-funded clean-tech environmental project in 2017. The project is aimed specifically at increasing the number of hybrid vans and lorries on UK roads in order to reduce damaging vehicle emissions and improve air quality. In February this year, the company was named a potential tech ‘Unicorn’ by international investment group GP Bullhound. By being included in the list, GP Bullhound says AVID has the potential to follow the likes of Uber, AirBnB and Spotify to massive growth, which could one day be valued at over $1bn.